Tandems are designed with two cockpits and allow two people to use the boat at the same time, a great way of enjoying some great social time by the way. Tandems are the perfect solution for more-than-one-person kayaking without the schlep of having to haul around two boats at the same time. Not only do they make for great family time recreational sport machines, but tandems even let you take out the seats and take your dog out with you on the water. Finding the perfect tandem for your needs can seem like an overwhelming task, especially with a market that’s literally flooded with thousands of options, each one seeming better than the last. What’s the combined weight of you and your paddling partner? What’s you skill level, confidence and your abilities like? Think about the weight – kayaks that are manufactured from lighter materials can really help solve the problems of transporting and storing the kayak when not in use. For novices, sit-on-top kayaks are probably the best options because they’re super easy to use and safe to use. With sit-in kayaks, there’s the added element of capsizing, which requires affair amount of experience and skill to master. Whether you want to use your kayak as a way to get in shape, for fishing or just a way of spending some down time out on the water, kayaks are great recreational machines. Tandem kayaks however, aren’t called divorce kayaks for nothing. It takes a lot of practice and coordination to get the right movement down when you’re in the kayak with another person. One slips up and both end up in the water! Why is a great tandem kayak so important? Simply put…tackling the waters head on with wrong watercraft is going to make your experience a whole lot less enjoyable! Okay so the name kind of gives it away, but in case you didn’t know, the Lifetime Sport fisher is the ultimate tandem fishing kayak. When it comes to good budget friendly watercraft made with anglers in mind, this one comes out on top! This is the kind of kayak that allows you to stand upright when the need arises, making it a little more versatile than most other kayaks of its kind. For the purchase price they’ll throw in the paddles you’ll need to keep this guy going strong and the best part is the fact that it can easily fit in two adults and a child (or smaller adult for that matter), so it’s not just a strictly 2 person kayak. If you can afford it, this is probably one of the very best tandem kayaks you can invest in! The premium price tag gives it features that make it any fisherman’s dream. Well equipped with 4 rod mounts, bow and stern rigging, 2 paddle keepers and seats that make you feel like you’re floating on air, the Malibu Two XL gives you all you could ever need in a tandem kayak. If you need something solid and reliable that can easily be deflated and stored away, the Sea Eagle SE370 is just that thing! We love the fact that it’s super portable and can be inflated in less than 10 minutes. Another great perk that the Sea Eagle SE370 boasts is the extremely comfortable seating. The performance is great and with a 500 pound load capacity, you can rest assured that it has your weight covered. Read our review of the Sea Eagle 330! The Intex Explorer is the real “get-it-done-on-the-cheap” kayak, but still doesn’t compromise on quality. If you’re on a tight budget, this kayak has just about everything you need: inflatable seats equipped with back rests and the bare bones you need when exploring out on the lake. The Advanced Elements AE1007-R is kind of like the Cadillac of inflatable tandem kayaks. 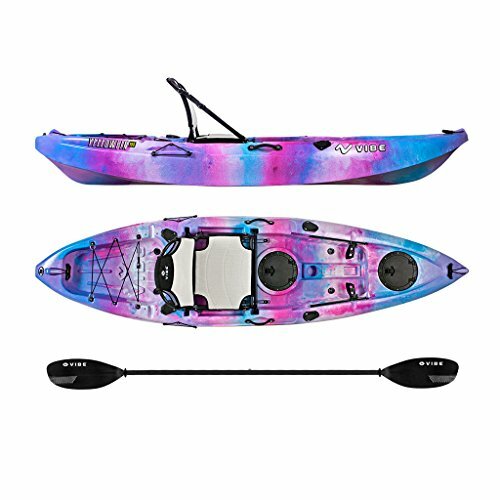 With and extremely solid build (with aluminum ribbing outlining the structure of the boat), this kayak brings you stability that’s top notch. This is one of the most popular sit-on-top tandem kayaks out there! We love that this mainstream version kayak doesn’t just limit you to fishing only, because it comes equipped with two paddles and can be used solo or twin operated. With the Manta you get great quality, durability and stability that don’t quite measure up to other kayaks in its class. We’re not going to argue: Hobie is undeniable one of the TOP kayak manufacturers today so the name alone gives you a pretty solid piece of mind that you’re investing in great quality. But be warned and beware that the best quality also comes with a hefty price tag! Cruising in at around $3000, it’s a steep price to pay, but with the Mirage Oasis, you REALLY get what you pay for. If you’re all about competitiveness in the kayaking department, this beauty is for you. Built with durability and stability in mind, the Mirage Oasis can handle A LOT of abuse, which is why it’s a great choice…if you can afford it. Need bells and whistles? Then look no further than the Mirage Outfitter! It comes equipped with a sail mount, 2 paddles and hull paddle storage, the same as the Oasis. We love the pedal system that allows you to move the boat around much like a bicycle, much in the same fashion as a paddle boat, which means you could ditch the paddles altogether if you wanted to. Here’s another great tandem kayak that was designed with family style exploration in mind! It has a removable front seat that easily adds extra storage space to the boat and allows you to even take your dog out with you onto the water. It comes with Auto Trim, a hull design that prevents bow lift when a solo paddler is seated in the rear seat of the kayak! With its Glide Track foot brace system, the Heron encompasses an intuitive, easily accessible adjustments system with contoured foot pegs and asymmetrical designs that cradle the feet. With its cushioned seats, thigh pads and a rudder, the Heron does not let up on comfort, safety or maneuvering. There you have it. Nine very different, very unique, but all great tandem kayaks, picked to suit just about any need. All you need to do now is to get out there and decide which of these models best suit your individual needs and budget off course. If we had to pick just one winner for the category of Best Tandem Kayak out of all the kayaks we’ve mentioned here, it would have to be the Advanced Elements AE1007-R Advanced Frame Inflatable. We love it so much because it’s easy to set up and use, and brings you just about anything you need in a tandem kayak. You can be sure you’ll get high grade construction and lots of space. 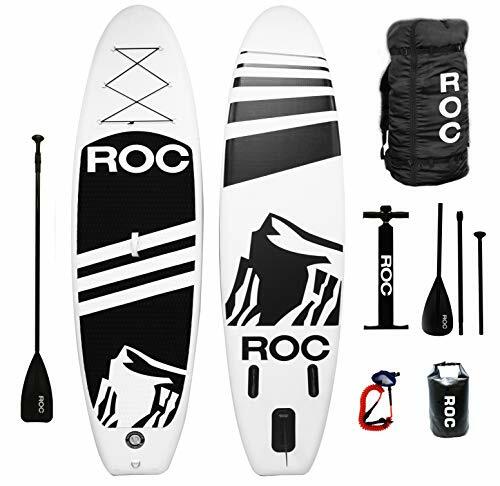 The Advanced Elements AE1007-R redefines the idea of compact and sleek and might just change the way you view inflatable tandem kayaks forever.